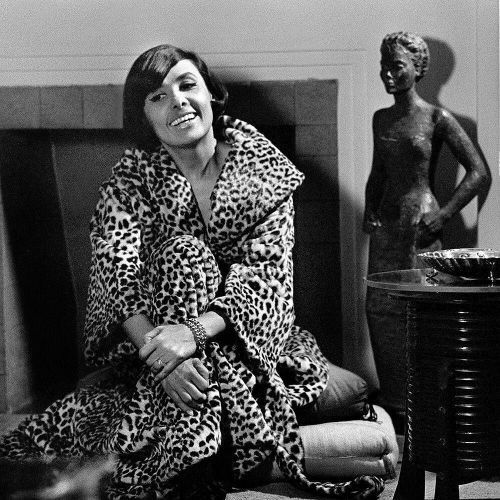 "In the late 1950s, Lena Horne was one of the most famous performers in the country, a recording star, a Hollywood actress and a nightclub sensation. But she struggled to find property owners in Manhattan who were willing to sell co-ops or condos to African-Americans. So how exactly did she snare the Upper West Side penthouse apartment featured in this photo by @nytimes photographer Sam Falk? Harry Belafonte, who was a good friend, bought the building, using dummy real estate companies to cloak his identity, and gave Lena the penthouse. In the article that ran following this photoshoot, Lena mentioned her difficulties in finding an apartment. But she didn't tell the backstory about how she landed her place, and the article only included a close-up. During #blackhistorymonth, we're sharing unpublished @nytimes photos that reveal major moments in black history. Follow along: #UnpublishedBlackHistory" By nytimes on Instagram.